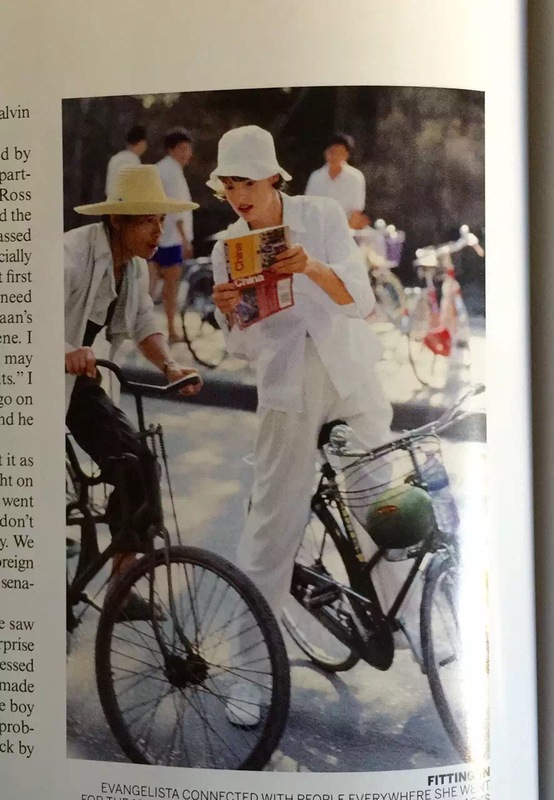 I happened to flip through this page on an special edition vogue this month. Photography by Arthur Elgort in 1993. I was 5 and my dad was riding the exactly same bike to take me to school every day. And who knows, me and Evangelista may picked up the watermelon from the same farmer.